From an investment perspective, en primeur can be one of the most rewarding investment strategies in the fine wine market. Some wines can see their price soar fivefold between initial release and delivery. This year’s en primeur opened in Bordeaux two months ago. Top quality wines including Lafleur, Client and Angelus are now released at attractive prices. It is time to revisit the benefits and hidden traps of buying en primeur wines as a form of investment. Commonly known as “wine futures”, en primeur refers to the method of buying wine while the wine is still in barrel. This means that buyers will invest in wine before it is bottled and delivered, which can be one to two years after the initial en primeur release depending on the individual wine. Lowest price – en primeur typically offers the lowest market price when compared against the rest of that wine’s life cycle. Optimised return – At en primeur release, the wines are at their youngest age with the maximum period for maturity and potential growth in value. Security of provenance – Wines purchased en primeur will be delivered via the most direct route from the vineyard, ensuring absolute provenance. Best quality – Keeping transportation to a minimum means that the wines will age in a controlled environment with no accidental quality deterioration. How to invest in en primeur wines? In recent years en primeur is increasingly being bought for investment purposes. 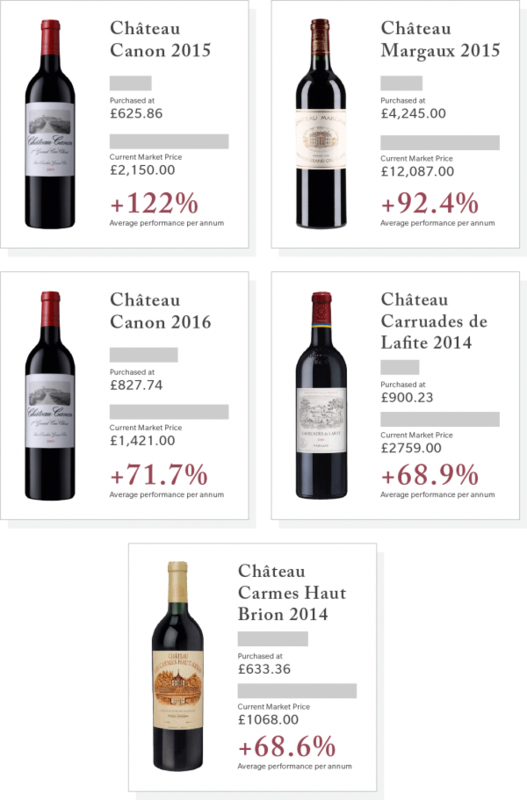 With the clamour for good vintages, prices of en primeur wines can increase rapidly, sometimes even doubling within a matter of weeks. The process is fairly straightforward: buy great quality wines en primeur at the lowest possible price, keep them safely stored away for several years, and then release the matured wines at a much higher price into the secondary market. If the process is truly so simple, why do en primeur wines remain relatively obscure as an investment option? The production level of investment grade wines is small – Some Bordeaux estates only produce a few thousand cases per annum. Therefore, fine wine does not naturally lend itself to trading at the volumes of gold or blue-chip stocks. More importantly, there are many hurdles for an investor to clear in order to succeed at en primeur wine investments: access to vineyards, the expertise required to pick the right wines that will appreciate in market value and illiquidity before the wines mature. Traditionally, reputable and historic vineyards prefer working with established vendors, intermediaries and collectors. New independent buyers often find it difficult to gain access to the en primeur market. With over ten years of experience in fine wine investment, Cult Wines has cultivated good relations with all major chateaus in Bordeaux and is a regular guest at their en primeur tasting events. Cult Wines has been buying en primeur wines at a large volume since 2013 for clients to diversify their wine investment portfolios. It typically takes one to two years for wines purchased en primeur to be bottled and delivered. Some wines may require up to five to ten years plus to reach maturity. There is a common misconception that it is very difficult to sell fine wines before they are fully matured, and such lack of liquidity often deters interested investors. When investing with Cult Wines, clients can choose to liquidate their wine stock at any time. Experienced with the secondary market for fine wine, Cult Wines has a global network of merchants, importers, vendors and collectors and uses it to ensure that clients exit the market on good terms. Buying wine en primeur does not necessarily mean that prices will increase. The quality of wine varies from year to year and vineyard to vineyard, creating demand disparities in the secondary market. Stock selection is therefore the key to success when buying en primeur as investment. To select the wines that will best perform in the mid to long run, Cult Wines annually sends a team of wine tasting and investment experts to Bordeaux. Every year the team taste the wines and assess their market potential, entirely uninfluenced by wine critics. The combination of wine knowledge and investment expertise has lead to four highly successful en primeur campaigns since 2013. The Cult Wines 2013 and 2014 En Primeur Index posted 36-month growth figures of 107.4% and 74.9% respectively. More recent figures from 2015 paint a similar picture: average returns from Cult Wines’ en primeur stock to present are 11% per annum. The top ten wines Cult Wines sold on behalf of our clients have an average profit of 86.7% in 2 years. The following are the top five best performing wines from Cult Wines’ past en primeur campaigns. For more information on en primeur Bordeaux 2017 and wine investment opportunities please download Cult Wines’ report.